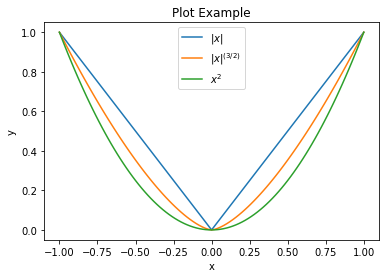 This example demonstrates the use of the plotting functions in module plot, which provide a simplified interface to certain matplotlib plotting functions. Define an x array and three 1-d functions of it. Plot the three functions on the same axes. We can also create a plot and then add to it. 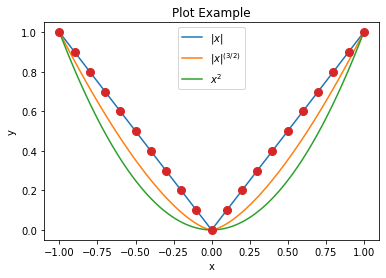 In this case we need to create the figure object separately and pass it as argument to the plot.plot function so that it doesn’t automatically call fig.show after the first plot call. Define x and y arrays and a 2-d surface on x, y. 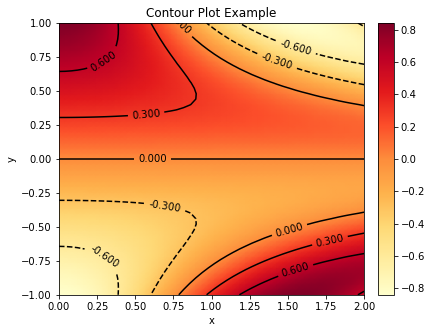 Plot a surface plot of the surface, including contour lines at the bottom of the z axis. 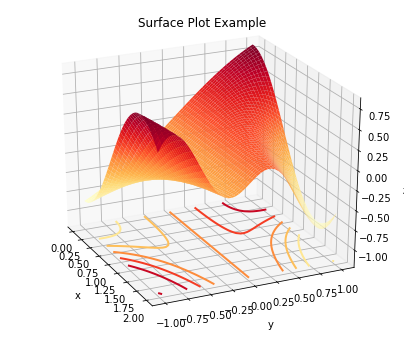 Plot a contour plot of the same surface. We can also plot within subplots of the same figure. Load an example colour image and create a corresponding grayscale version. Display the example colour image. Display the grayscale image with a false-colour colour map, with a colour bar display of the color map. 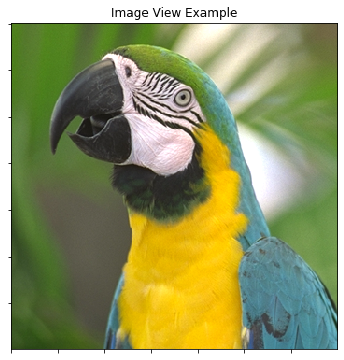 We can view both images as subplots within the same figure, but the colour bar on the second image changes its aspect ratio, which has the undesirable result of the two images being displayed with different sizes. One solution is to adjust the ratios of the widths of the two subplots. 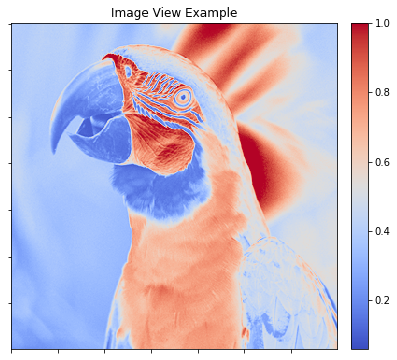 We can also share x and y axes so that a zoom in one image is replicated in the other (this is, of course, only possible in the interactive version of this demonstration script). An alternative solution is to add an invisible colorbar to the first image so that they have the same size. This can be achieved by setting cbar=None instead of cbar=True. © Copyright 2015-2019, Brendt Wohlberg. Created using Sphinx 1.8.5.